The Carleton Sailing Club sails and races small sailboats on nearby lake Byllesby. We have racing team which practices and competes regularly as well as many opportunities for the novice to learn the basics. Our sailing team competes in intercollegiate regattas in Minneapolis, Iowa City, Chicago and Madison, and practices twice a week. 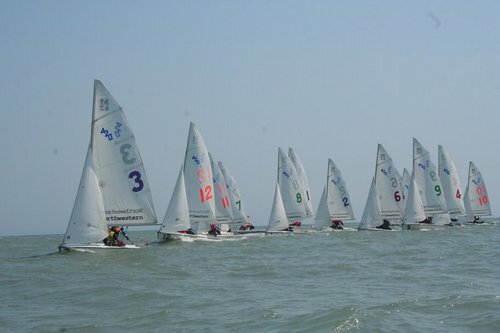 Most regattas are fleet races, but there are also a few team races. We mostly sail FJs and 420s, but we also have a few other fun boats. 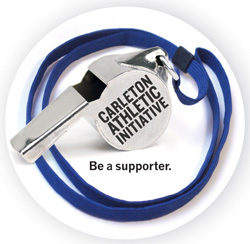 If you're interested in either racing or just learning to sail during the spring or fall contact us and get involved! Chris Reitz founded the sailing club in spring of 2001 with trips to the Cities to sail boats at the Lake Calhoun Sailing School. Since then the Sailing Club has taken 60 students sailing for their first time, and provided sailing opportunities to well over 100 students. In summer of 2002 an alumni donated a Finn sailboat which gave the club its first boat. 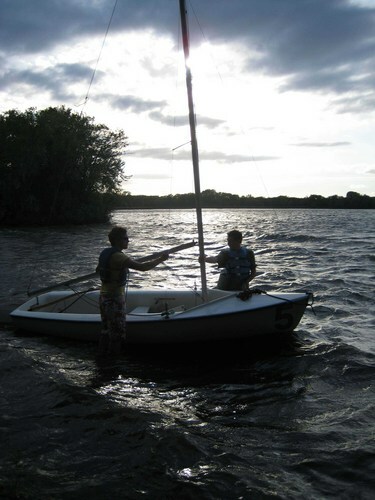 The next year University of Minnesota loaned five FJs to the Carleton and the club began to sail regularly on Lake Byllesby.